BRYAN EATON/Staff Photo. 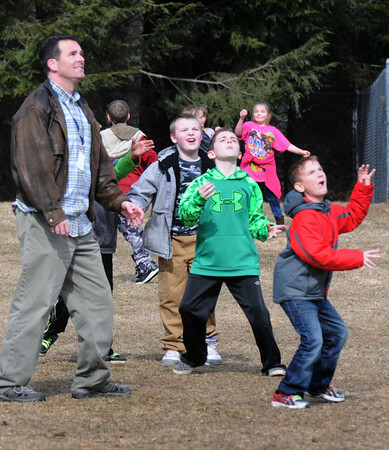 Salisbury Elementary School principal James Montanari plays catch with third-graders during recess. He was following one classroom for a day, even getting on the schoolbus at one of the student's home, to get what the school day is like from the perspective of the pupils.